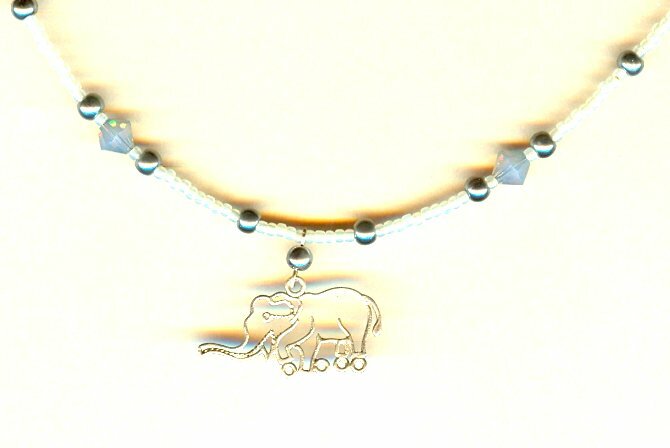 The sterling silver filigree elephant pendant is as feminine as it is enchanting. It measures about 1-1/8 inch from trunk to tail, and dangles 3/4 inch below the strand. 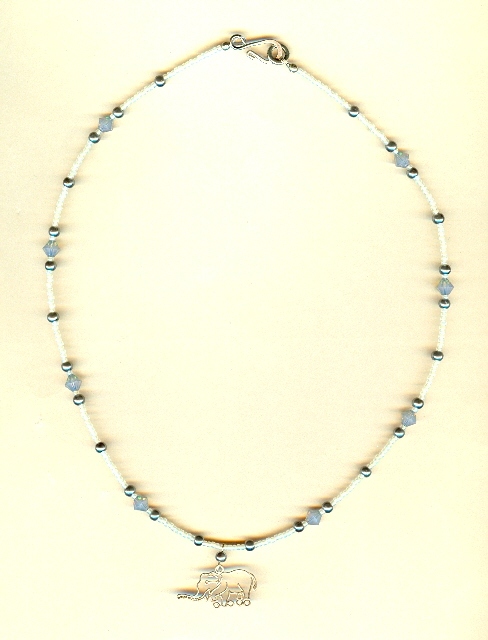 The 19-1/2 inch strand is made with grey opal Swarovski crystals, hematite glass pearls, and ivory coloured glass seed beads. It closes with a simple silver plate hook set. What a great gift idea for the girl grad in your life! 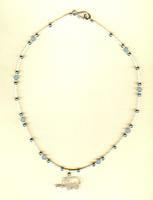 It?s another charming delicate necklace, from SPARKLE PLENTY, of course.